Bayern München can look back to this week and congratulate themselves on a job well done on the transfer market. On Tuesday the club not only announced the signing of Colombian star midfielder James Rodríguez but also managed to sell Brazilian winger Douglas Costa to Juventus Turin. The transfer of Douglas Costa to Juventus, in fact, can be described as the key deal that made it possible for Bayern to land James from Real Madrid. The Brazilian winger dazzled when he first signed for Bayern two years ago. Under Carlo Ancelotti, he, however, disappointed somewhat this year. The Bayern bosses therefore no longer believed that the Brazilian could challenge the ageing Frank Ribéry and Arjen Robben. It was for that reason that Bayern were heavily linked with the Chilean star Alexis Sánchez from Arsenal in the spring. Sánchez the bosses at Bayern believed would be the sort of star signing the club needed to compete for the Champions League title on a consistent basis. Bayern’s management also felt that there was a good chance in signing the winger, because of Sánchez, whose Arsenal contract is going to expire in 2018, wanted to leave his current club. At some point in the spring, Bayern were close to getting their man. But then Sánchez’s salary demands were made public. The Chilean forward demanded €25 million a season, which would have cost Bayern €100 million in salary over the next four years. Furthermore, it was understood that Arsenal asked for in between €80 and €90 million for the player. The whole package would have cost Bayern around €190 million for a player who is already 28. It was a risk the Bavarians were not will to take. What happened next was the signing of Serge Gnabry just ahead of the 2017 FIFA Confederations Cup. There were some, who believed that he was the immediate answer to Bayern’s squad depth. The reality, however, was different. Gnabry is a talented player and with the right amount of experience can help Bayern in the future. But at this point, the 21-year-old needs playing time and it was therefore always likely that he would be loaned out to Hoffenheim. Douglas Costa in the meantime was still for sale, which, however, would mean that Bayern would remain reliant on just three real wingers—Ribéry, Robben and Coman. Hence, there was expectations that Bayern were still going to make a major splash this summer once they found a solution for both Gnabry and Douglas Costa. The door for that major splash opened last weekend. 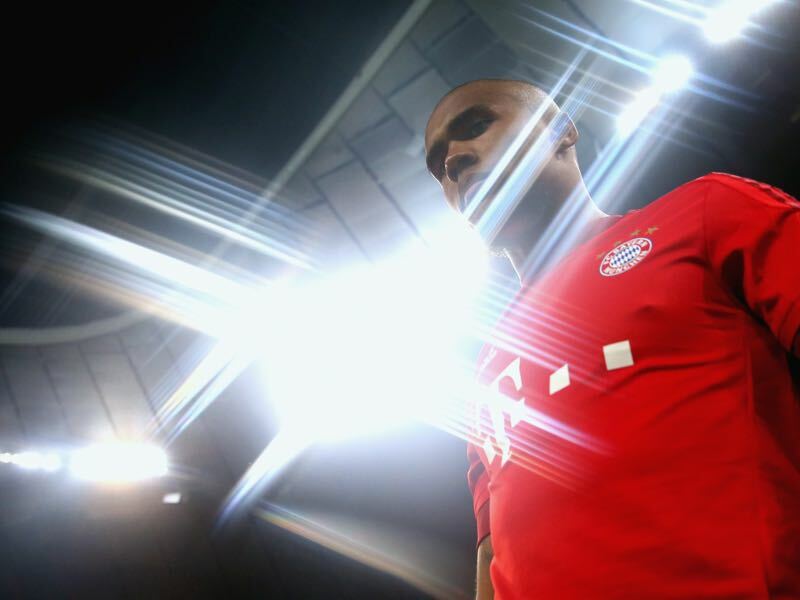 Bayern had been in lengthy negotiations with Juventus over Douglas Costa. The Italien Serie A champions wanted to sign the Brazilian winger. But at the same time had problems with the Italian non-EU transfer rules—Serie A clubs are only allowed to sign two non-EU players from abroad every season—and also had to comply with Financial Fair Play regulations. Italian clubs, however, can be creative when it comes to signing players. On Monday Juventus, therefore, proposed a loan to buy deal. Juventus will at first pay €6 million and then sign the player on a full-term basis for €40 million next summer. The transfer was Bayern’s biggest ever-outgoing deal and more importantly allowed Bayern to become active on a different front. While Bayern were negotiating the Douglas Costa deal with Juventus, they also began talks with Real Madrid over the Colombian star James Rodríguez. 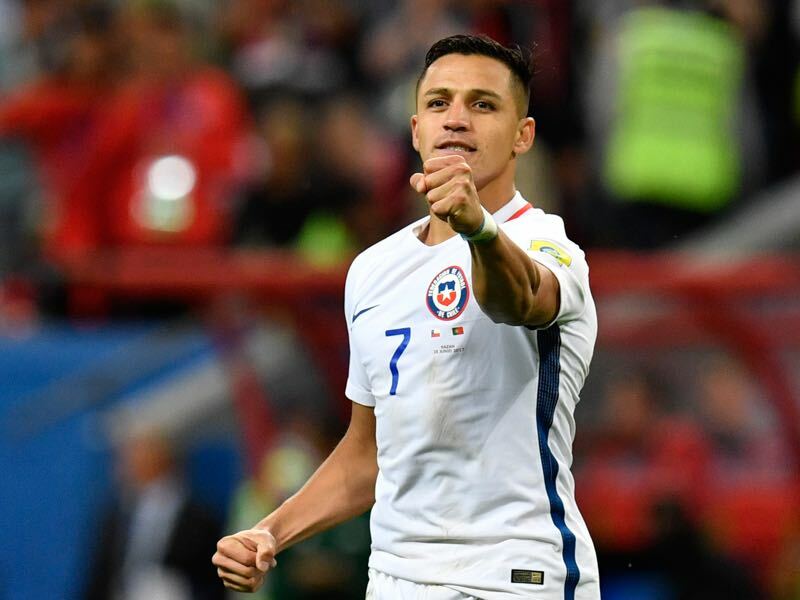 The Colombian attacking midfielder was quickly identified as the number one transfer target by the Bavarians after it became apparent that Alexis Sánchez was not a realistic transfer target. 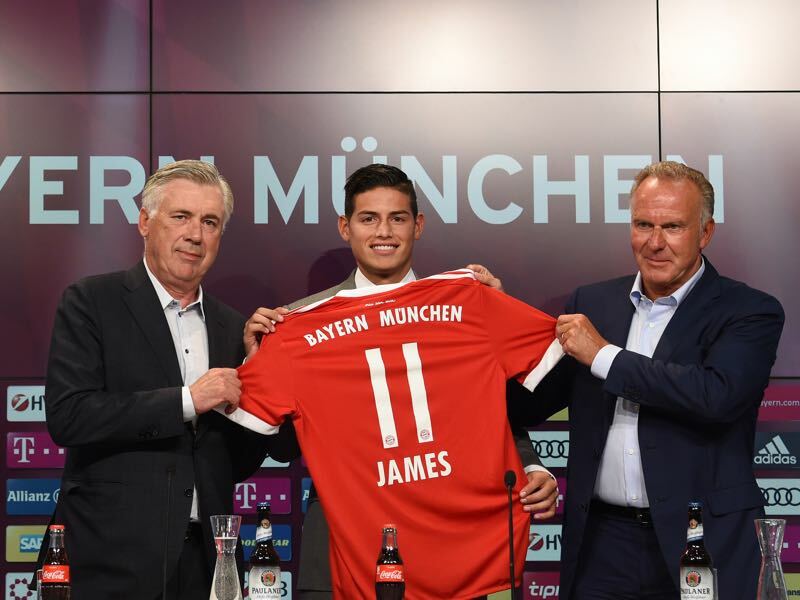 Carlo Ancelotti identified James as the sort of versatile attacking midfielder Bayern München needed to create more pressure on the ageing forward line. Furthermore, unlike Sánchez, it appeared that Bayern could structure a financially viable deal to land the Colombian from Real Madrid. The attacking midfielder has been quite open in the last two years when it came towards leaving Real. Unhappy with his playing time under head coach Zinedine Zidane James believed that it was time to move on. Various clubs around Europe were then linked with the midfielder including Manchester United and Chelsea. Bayern was also often rumoured to be interested in the Colombian. But then on the weekend, the rumblings about the possibility of such a transfer became louder. Then on Sunday, the first rumours appeared that Bayern were indeed negotiating with James. But at the same time, it was understood that it would take a chance to structure a deal that would make all sides happy. Furthermore, there was still the open question about Douglas Costa’s future. In the end, however, Bayern moved much faster than anticipated. Taking a leaf out from Juventus’ transfer book Bayern proposed a loan to buy deal for the Colombian. The Rekordmeister would pay €10 million now for a two-year loan deal for the 25-year-old and then have an option to buy James for €35 million. James, who cost Real €75 million in 2014, will, therefore, cost Bayern €45 million without salary. 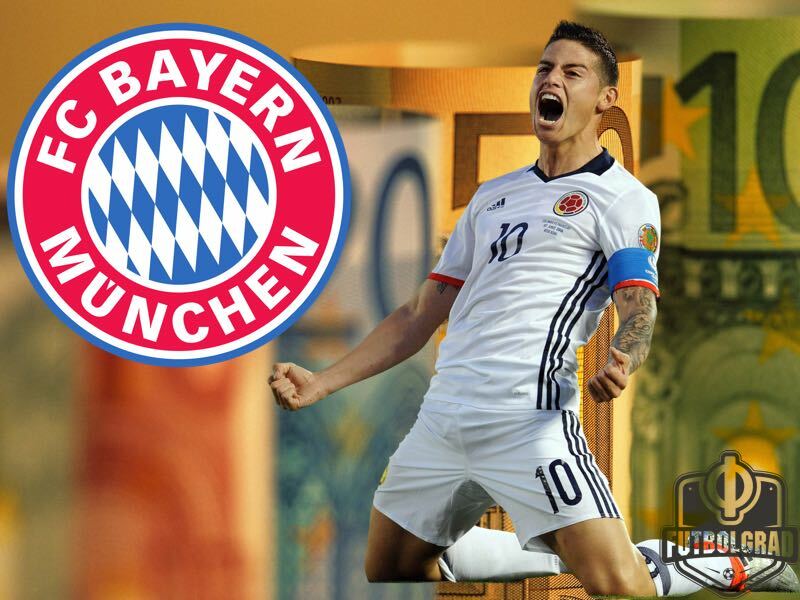 It is a great deal Bayern’s management have put together in short order and if James can fulfil his almost limitless potential could be the best signing for the club since Robben joined Bayern in 2009 from Real. What is even more remarkable is the fact that very few saw this deal coming, especially in a world where transfers are often hyped to done deals way before the true negotiations are started between clubs. Bayern, however, more often than not get things done the right way on the transfer market and it is for that reason that they are one of the most dominant clubs on the planet.